This exfoliating cream gently cleanses and purifies the skin: delicately polished as a result of two complementary microbeads (guarana seeds and organic brown rice), softened by a cocktail of plant extracts with soothing virtues. Reveals clean, fresh, radiant skin that appears to be able to «breathe» again. 2 to 3 times a week, apply the cream to a moist face and neck, using small circular movements. Avoid the contour of your eyes and lips. Rinse thoroughly. 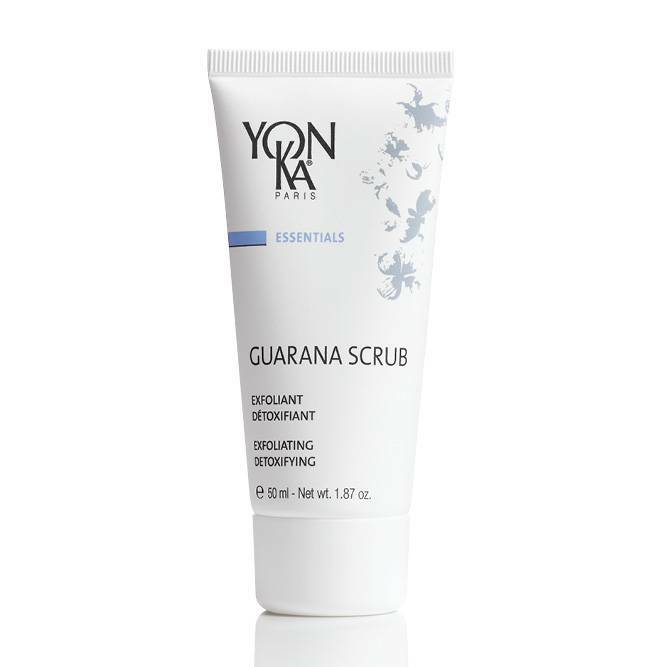 Dry without rubbing, follow by spraying on YON-KA LOTION and proceed to your usual treatment. Guarana and organic brown rice micro-beads, vegetable glycerin, cornflower, calendula, chamomile, linden, German chamomile, St. John’s wort, essential oils of geranium, lavender and rosemary.